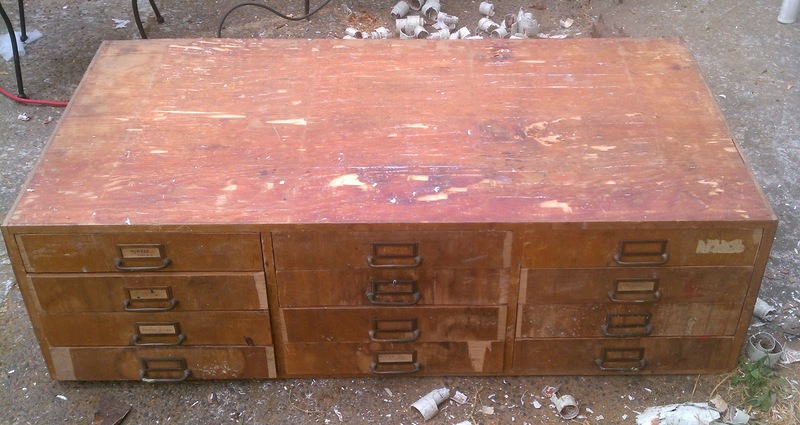 Last week Chris found this amazing industrial 12 drawer cabinet. It needed lots of work. 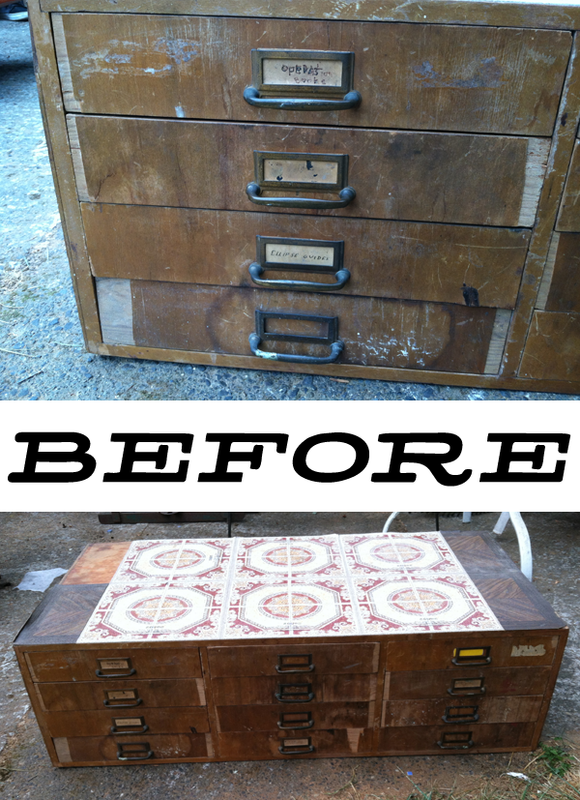 The top was covered with ugly linoleum and each drawer had peeling veneer. We weren't sure of how this project would turn out, but it was too good to let it go! The linoleum was tough to get off. Chris had to use a chisel bit on his sawzall and scrape off all the glue with a wire brush. The veneer came off of the drawers fairly easily. Then he sanded it and stained it with Minwax Early American Stain, and oiled it with linseed oil. 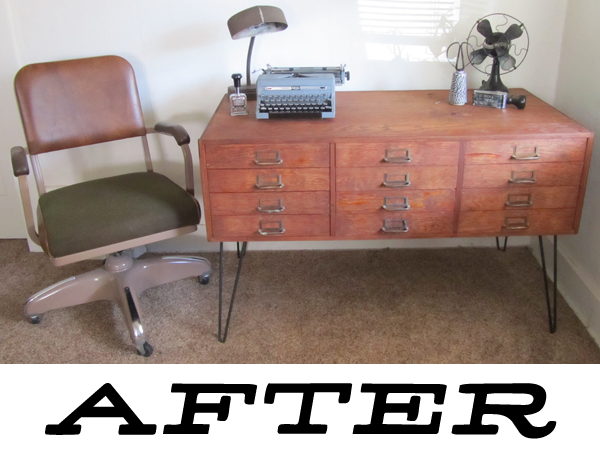 The more we looked at it, the more it needed hairpin legs, it made for a perfect side table or addition to an office. Behold the finished product! We had a return customer buy it immediately.